Log on to Botsify. Login with either Facebook or email and select your chatbot. You will now be redirected to the dashboard. 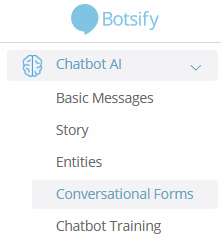 From there,click on Chatbot AI on the side menu on left then select Conversational Forms from it. Now, that you are redirected to “Conversational Forms” page, click on Create A Form. Enter an appropriate name for your form so you can keep track. 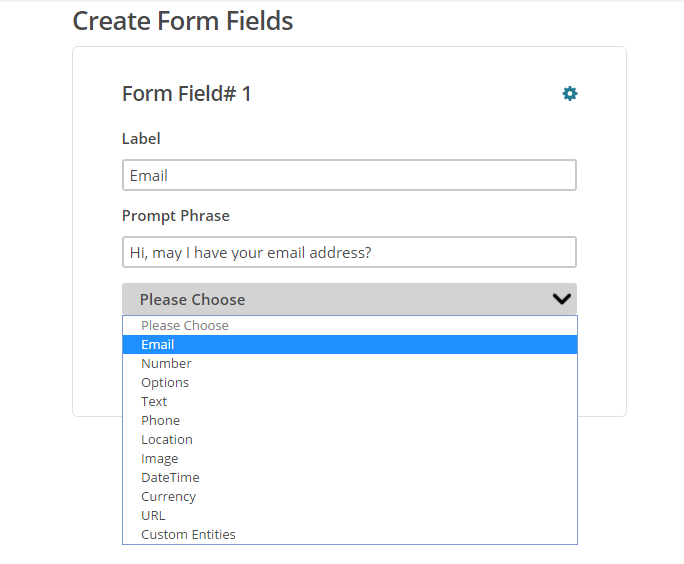 Customize the form fields as you like. You can choose from a variety of options so as to what kind of response you want to record. Choose how you want to receive the responses. You can call an API with response data, get the responses emailed to you or store them in a sheet or table. 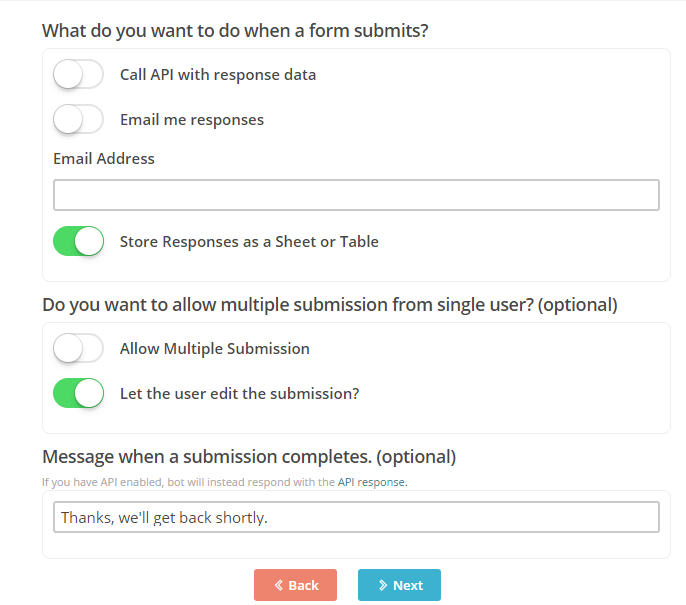 You can also allow the chatbot user to enter multiple submissions and edit their responses. A message after the submission may also be inserted. Choose when the form will be rolled out to chatbot user. You may initiate the form after a phrase match, a keyword match, an entity match or perhaps at the pressing of a button. You can view all your saved forms and their responses by visiting the Conversational Forms once again.